I have used my Grove Collaborative referral link within this post. I only feature brands that I use and love. Thank you for supporting the brands that support this blog! The beginning of the month is always exciting for me, because it means my Grove Collaborative order is on its way to me. I have my auto-ship order set to ship at the beginning of every month, and the month leading up to my order is when I add products to my cart. In case you’ve never heard of Grove Collaborative, it is a site where you can purchase eco-conscious and ethically-minded products at a discount. I’ve been a VIP member for years, because you get free shipping, free gifts, free returns, and exclusive sales. I’ve saved a lot of money over the years by purchasing through Grove Collaborative. This month, they have a very special & exciting offer for new members. There’s also a great offer for existing members, and all the info is at the bottom of this post. First up, some kitchen organization plus some of my faves from Mrs. Meyer’s. I have long loved Mrs. Meyer’s products, and their Lemon Verbena scent is simply perfect for the kitchen. It’s so fresh and lemony, I love washing our dishes with the dish soap. The hand soap is also amazing & is kept in our kitchen and our guest bath. The lotion is new to me, and I loved it immediately. As far as household products for this month, I needed to pick up some more glass cleaner. I love having clean glass in the house, but with three kids it all looks grubby quickly. This mint scented glass cleaner from Method is my favorite, because it smells fresh and it’s super effective. The Aunt Fanny’s All Purpose Pest Remedy is new to me and was recommended by a member of Grove Collaborative team, and so far it’s done an amazing job! We had a few ants in our pantry for the first time (seriously, it feels like it took a year for the bugs to find our house), and this spray nipped the problem right away. I have more personal care items this month than any other month! First up, my favorite cruelty free feminine products from Seventh Generation. There isn’t one Seventh Generation product I’ve used that hasn’t reached ‘holy grail’ status. The entire brand is amazing. I have two conditioners in this haul, one from Acure and one from Jason. The Acure conditioner is the Coconut & Marula Simply Smoothing Conditioner. I hope this will help tame my flyaways this summer. The Jason Restorative Biotin Conditioner also caught my eye. The one thing that I love about these brands is how thoughtful they are about their packaging. Both of these bottles will help me get the product completely out of the container. The Jason conditioner dispenses upside down, and the Acure conditioner can be stored upside down. I love them! Since we’ve had a little summer cold in our house & I’m washing my hands more frequently, it was time to stock up on my favorite hand cream. 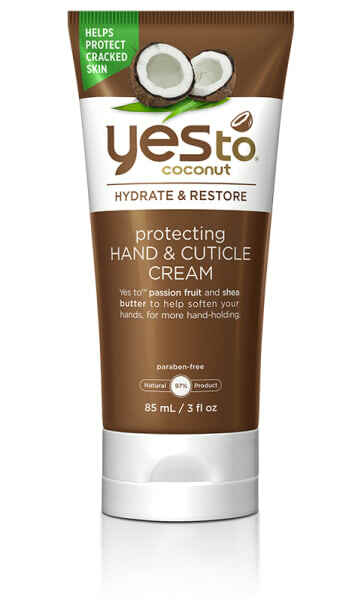 This Yes to Coconuts Hand & Cuticle Cream is super moisturizing but not greasy at all. It’s absolutely perfect for my desk drawer at work. And that’s it for this month! Getting my Grove Collaborative order every month is so much fun. I genuinely look forward to it, and I love planning my auto shipments. This month, Grove Collaborative has a special offer for new customers. 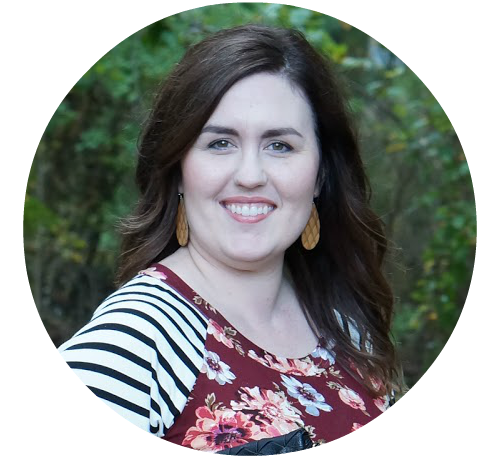 If you sign up as a new customer with my link (here), Grove Collaborative will send you their cleaning caddy and three Mrs. Meyer’s products for free! This caddy is so cute, and it fits perfectly under my kitchen sink. It’s been so popular, I’ve seen this caddy sell out multiple times before. If you are already a member and place an order through my link (here), Grove Collaborative will send you a set of their walnut scrubbers. We use their walnut scrubbers in our kitchen & absolutely love them! interested in Grove Collaborative. You get so many perks and benefits to being a member. Not only are you saving money with shopping Grove Collaborative, but they have exclusive gifts and offers for members.